Mt Langley, located in the Eastern Sierras just south of Mt Whitney, is the tenth highest mountain in California (14,026 ft = 4.275 m). 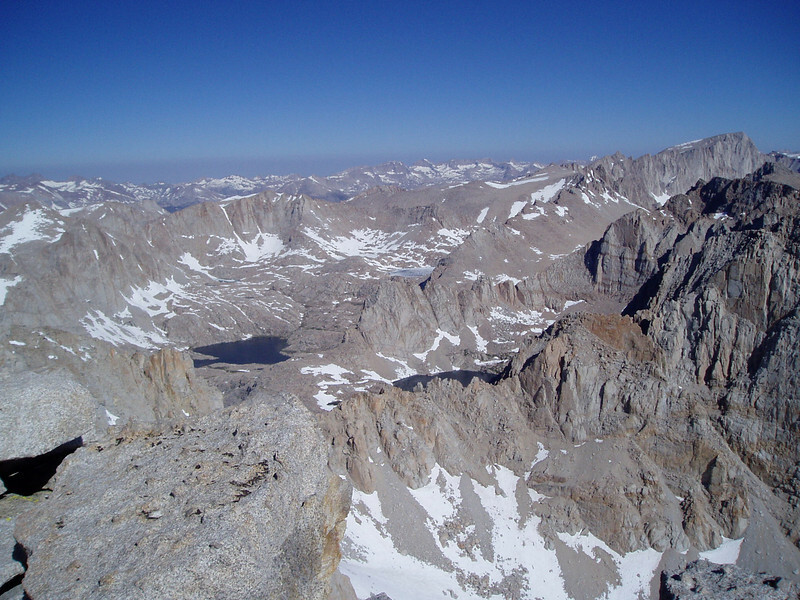 It is also the third easiest to hike (after White Mountain and Mt Whitney) and its views are among the best. A wilderness permit is required for all overnight stays. Fires are prohibited in the Cottonwood Lakes area. Proper food storage to deter bears (bear canisters, bear-bagging, etc.) is required by federal law. View to North, Mt. Whitney in far right.